Jean-François Millet (French, 1814–1875). 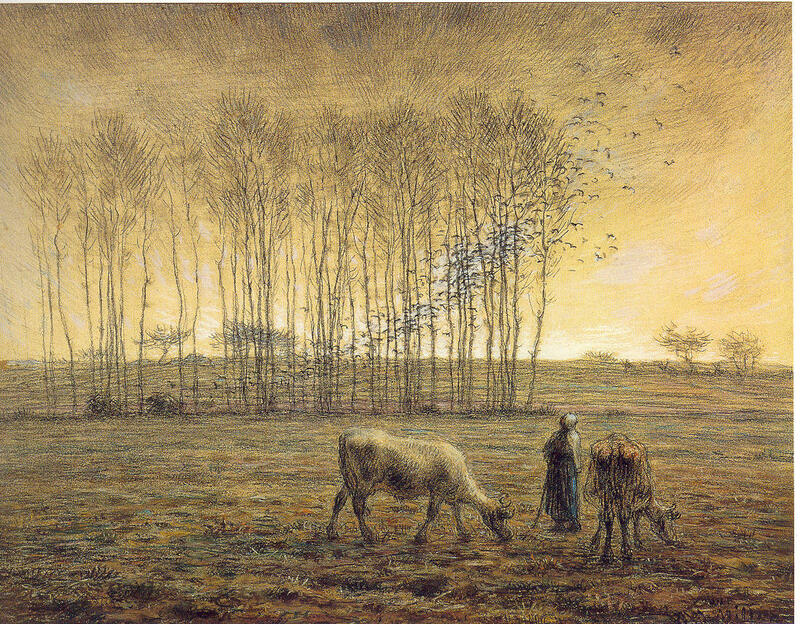 Flight of Crows (La Fermière), c. 1866. Conté crayon and pastel on blue-gray wove paper, 14 1/4 x 18 1/2 in. Frick Art & Historical Center, Pittsburgh, 1984.6.